Buying a house will likely qualify as the single most important financial decision of your life. You are likely to spend at least a couple of hundred thousand pounds on a home that may remain in your family long after you’re gone. As such, you want to do your utmost to follow through on the home-buying process in ways that are most advantageous to you and your family. Note that the process starts with financial preparations. Long before you contact an estate agent or start looking for houses online, you should have your finances in order. Not being financially prepared is one of the leading causes of disappointment among home buyers who ultimately discover they are not yet ready to purchase. As for the preparations themselves, they cover everything from checking your credit to making an appointment reputable mortgage brokerage whose ad popped up on your smartphone recently. Mortgage brokers in the UK are also certified, financial advisers. Independent mortgage brokers have access to ‘broker-only’ deals. They are not limited to only representing a single bank or mortgage product. 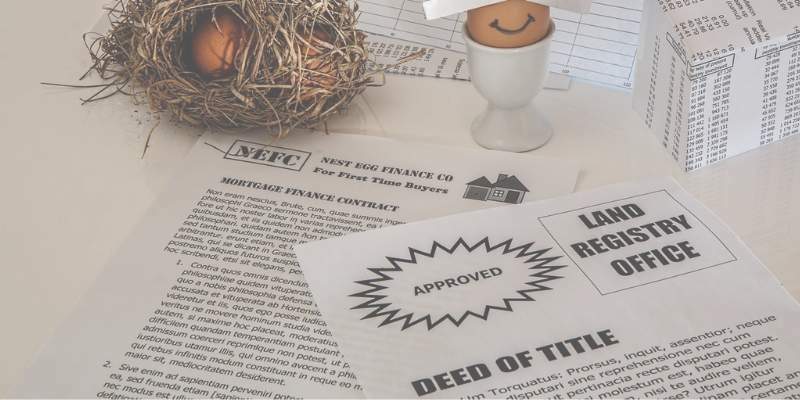 Mortgage brokers can help facilitate a transaction with lenders. They have specialized knowledge of the mortgage industry that can ultimately work to your advantage. With all of that established, let us move on to those financial preparations. The more of these things you can do ahead of time, the better off you are going to be. Your credit report will play a big role in how much you can borrow to purchase your home. Therefore, it is a good idea to check your credit before you start looking for a house. There are a couple of things you want to accomplish here. First, if there are any mistakes on your credit report that reflect negatively on you, knowing ahead of time gives you the opportunity to contact those responsible for the mistakes and have them corrected. Second, your credit report may reveal a poor credit history that could negatively affect your ability to borrow. You may need to take 12 to 24 months to repair your credit before applying for a mortgage. Assuming that a credit check shows no issues to be concerned about, the next step is to create a budget. A budget is a general guideline that keeps track of how much money you earn as opposed to how much you spend. The purpose here is to realistically determine how much you can afford to pay toward your mortgage every month. Knowing how much you can spend will prevent you from buying a house you cannot really afford. You can improve both your budget and your credit worthiness by paying off as much indebtedness as possible. So after you create a budget, start putting some of your excess income into retiring your debt. The goal is to go into the mortgage process with as little outstanding debt as possible. As a side note, paying down your debts looks good on your credit report. The amount you are successfully able to borrow will hinge not only on your credit worthinessbut also on what is known as the loan-to-value (LTV) ratio. Let’s say the mortgage lender you eventually settle on offers a maximum LTV of 75%. That means you will only be able to borrow a maximum of 75% of the purchase price. You are going to have to pay the remaining 25% out of pocket. What does this tell you? That you need to start saving for your down payment. Plan to save between 20% and 30%, plus a few extra thousand pounds to cover mortgage fees and charges, solicitor fees, etc. If you can do all of these things before you start looking for new home, you will be in good shape when it is time to contact the mortgage broker and estate agent. The point is to be as financially prepared as possible so that you are not surprised or limited during the buying process. Being financially prepared means you’re ready to buy a house that fits within your budget and still meets all of your needs.